A joint event hosted by The Writers' Union of Canada and YouthWrite! 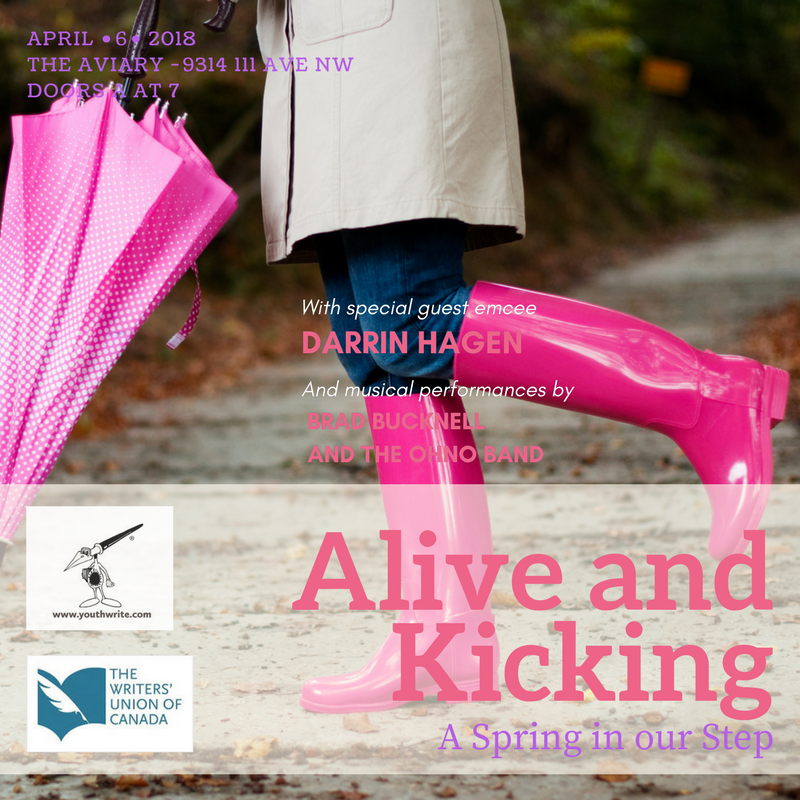 Jointly hosted by The Writers’ Union of Canada and YouthWrite Society Canada, Alive and Kicking: a Spring in Our Step, is an evening of readings by TWUC/YouthWrite members, plus a silent art action and fundraiser for YouthWrite®, with celebrity guest emcee, Darrin Hagen, and featuring Brad Bucknell and the oHNo Band to get you kicking up your heels and dancing. Cash Bar: The Aviary serves a variety of craft beers as well as wine and non-alcoholic options.